I first saw the recipe for this milk chicken on pinterest. The idea sounded strange, but I opted to give it a shot. The lemon zest causes the milk to separate into curds and whey, creating this delicious sauce for your chicken. 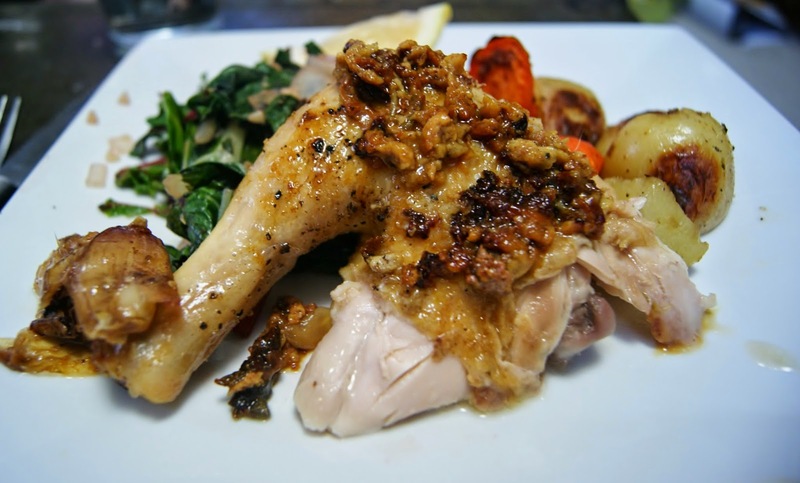 The chicken comes out very moist and goes perfectly with sauteed greens and roasted or mashed potatoes. We made this recipe for some friends who bought us our new dutch oven as a wedding present. Everyone was so happy with it that I thought I would share the recipe with you. This recipe is closer to a roast than a braise, but it's still delicious. Make sure you use an enameled pot like a dutch oven because it is so much easier to clean than if you were to use a regular pan. Additionally, try to use a good quality organic chicken if possible. I've tried with a non-organic chicken as well and the skin tears too easily and the meat drys out. Season the chicken generously with salt and pepper inside and out. Heat a dutch oven on the stovetop with olive oil and brown chicken well on all side. 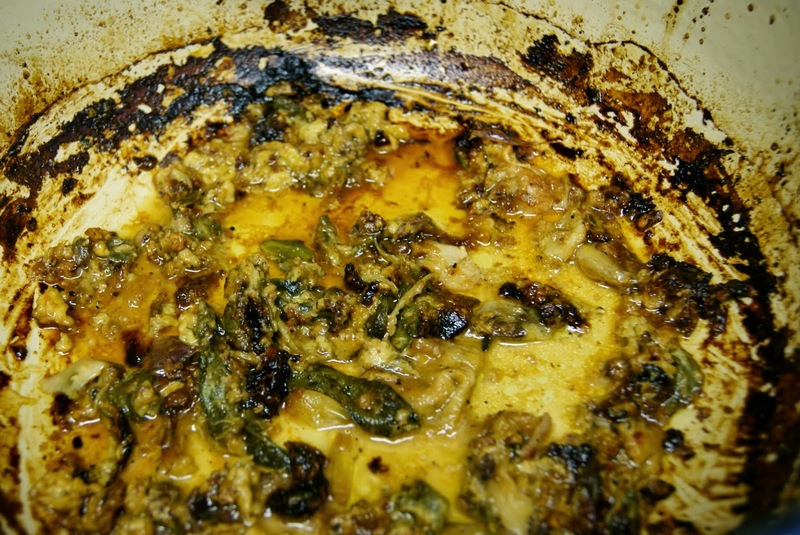 Remove chicken from the pot and drain off the excess oil. Deglaze the pan with milk. Add the rest of your ingredients and scrape up anything on the bottom of the pot. Put chicken back in the pot and place pot in a preheated 375 degree oven. 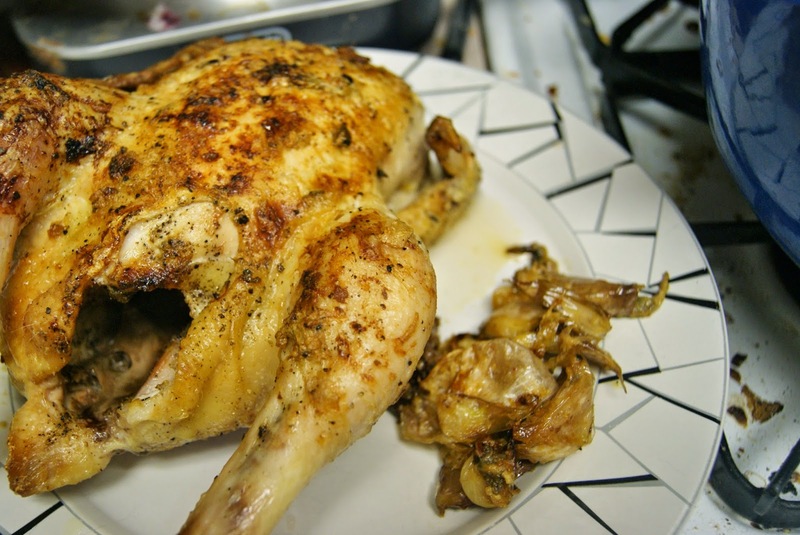 Cook about an hour or until internal temperature of the chicken reaches 165 degrees. Serve with a generous amount of the curds/whey sauce and spread the softened garlic over crusty french bread.